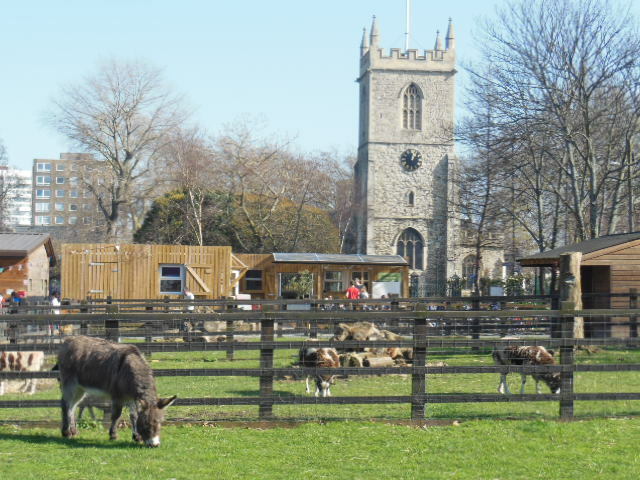 We have a real fondness for Stepney City Farm, near Whitechapel in East London. I think that it is the beautiful mix of old and new – the old village church next to the high rise student living, the cockerels and the Crossrail, the old ladies toiling in their allotments contrasting with the busy artisan farmers’ market. This weekend while visiting the farm’s pigs, newly hatched chicks, shaggy-haired goats and donkeys we picked up some foodie delights – pheasant breasts, free range duck eggs and smokey back bacon. Pheasant is a good choice as it’s low in fat and cholesterol, but chicken would work as an alternative. I decided to turn the pheasant breasts into schnitzels and serve them with a green salad, wild garlic pesto & a ruby remoulade for Sunday lunch. We used manioc flour instead of breadcrumbs – this comes from a Central and South American woody shrub known as manioc, cassava or yucca. It is used in traditional Brazilian recipes including Farofa and to make tapioca, but its real value is that it is gluten free. You can buy it from the Brazilian butchers shop on Hoe Street, E17. You need three bowls – place the plain flour mixed with the harissa powder in one, a whisked egg in another and finally the manioc flour into the third bowl. Take a pheasant breast and cover both sides in the seasoned plain flour, then dip it into the beaten egg, then finally coat each side with manioc flour. Repeat until all four breasts are covered. 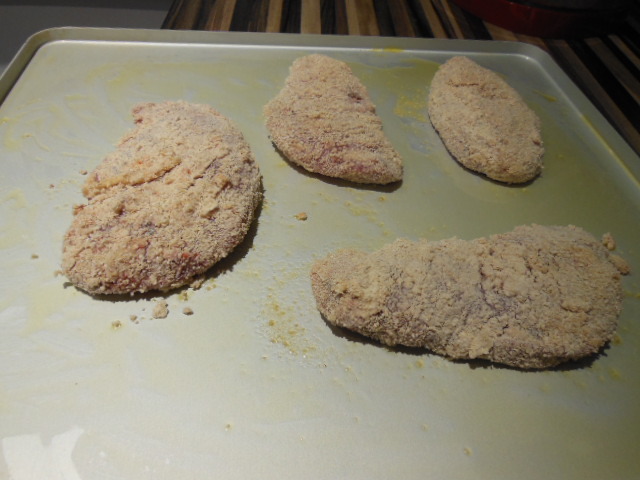 Place the pheasant breasts on a lightly oiled baking tray. Bake in the oven for 20 minutes on 220C / 450F / Gas Mark 8 until crispy. We served it with a ruby remoulade of red cabbage, red onion, beetroot and carrot, a dollop of chilli sauce, homemade wild garlic pesto and green salad. 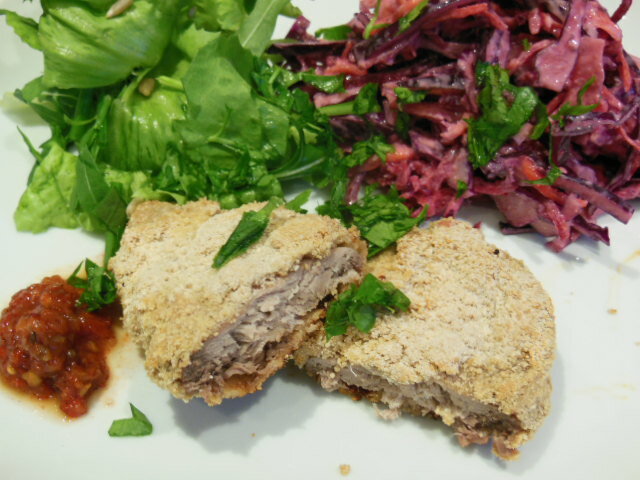 This entry was posted in Recipes and tagged farmers market, manioc flour, Pheasant, Stepney city farm. Bookmark the permalink.